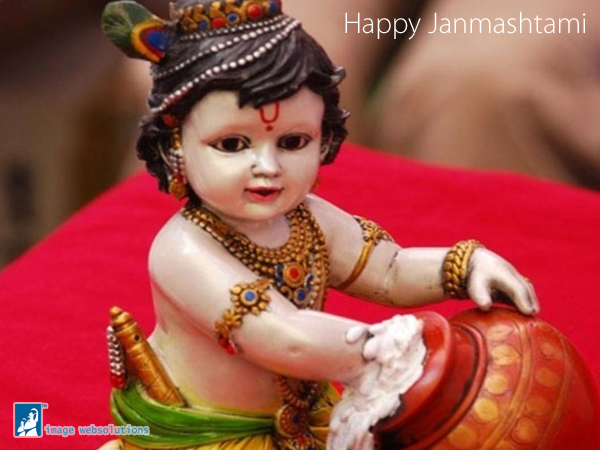 Gokulashtami or Krishna Janmashtami, festival marks the celebration of birth of Lord Krishna. Krishna Janmashtami कृष्ण जन्माष्टमी known as Krishnashtami, Saatam Aatham, Gokulashtami, Ashtami Rohini, Srikrishna Jayanti, Sree Jayanti or sometimes simply as Janmashtami, is an annual celebration of the birth of Krishna, the eighth avatar of Vishnu. The festival is celebrated on the eighth day (Ashtami) of the Krishna Paksha (dark fortnight) of the month of Shravana (August-September) in the Hindu calendar. Rasa lila, dramatic enactments of the life of Krishna, are a special feature in regions of Mathura and Vrindavan, and regions following Vaishnavism in Manipur. While the Rasa lila re-creates the flirtatious aspects of Krishna’s youthful days, the Dahi Handi celebrate God’s playful and mischievous side, where teams of young men form human towers to reach a high-hanging pot of curd and break it. This tradition, also known as uriadi, is a major event in Tamil Nadu on Gokulashtami. Krishna Janmashtami is followed by the festival Nandotsav, which celebrates the occasion when Nanda Baba distributed gifts to the community in honour of the birth. © Copyright 2002 - 2015 by Image websolutions. All Rights Reserved.